Hay look! Shouting horrible obscenities at the garden since last December for all the neighbors to hear seems to finally be paying off. 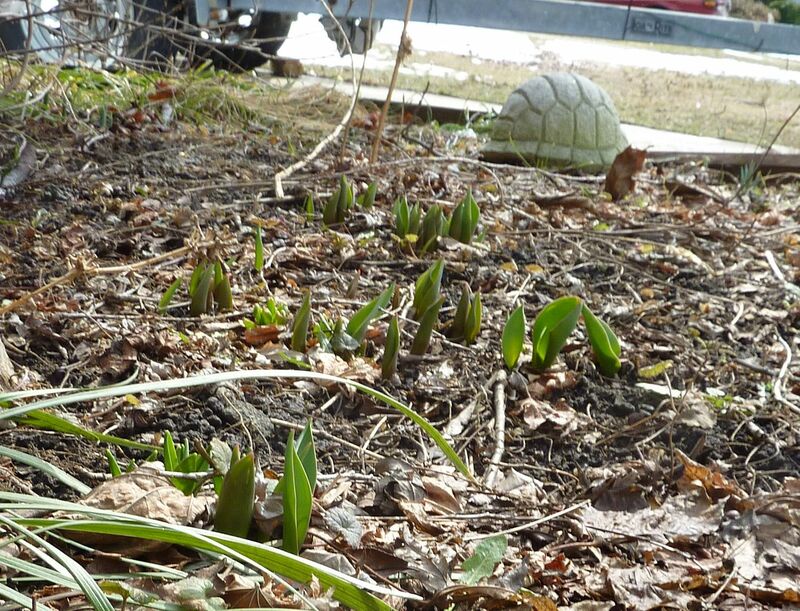 Or maybe it's because bulbs just need a certain number of cold hours before emerging over the warm days we've been having. One of those I'm sure. 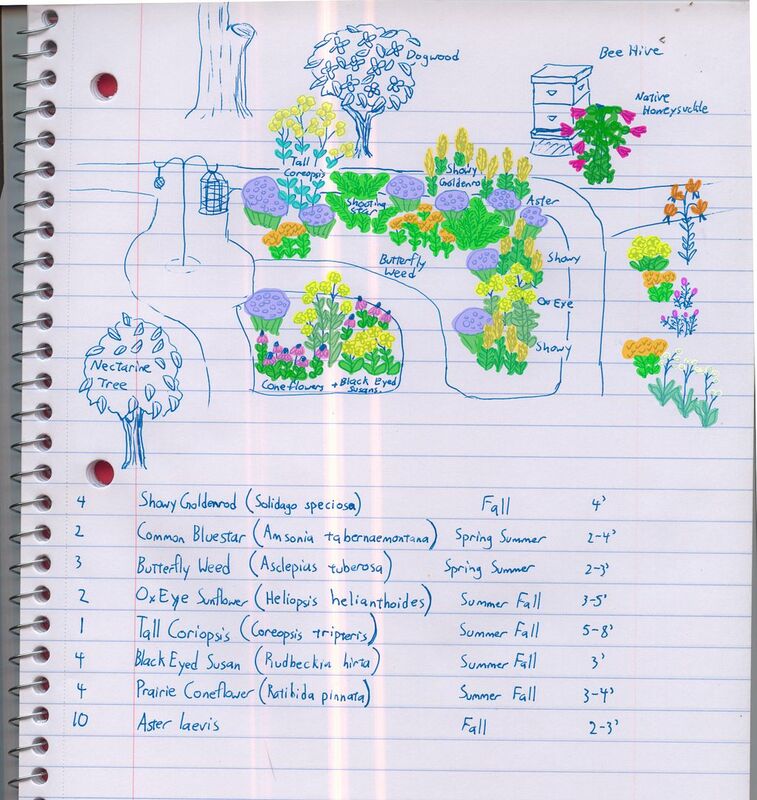 Anyhow so this was the original design for the new garden, which is going out back. And I've made several changes. For starters I'll say my perspective was WAY OFF! But that's okay as it's just needed to give me an idea. Here's the actual site. You can't really make it out but there's a dogwood tree between the big maple (left) and the beehive (right). I'm sure when it leafs out it will stop being invisible. Anyhow it used to be at the top left of the turned over spot. When I originally planted it there the idea was to have something for the birds to land on. Well that's about where the Tall Coreopsis is going now. 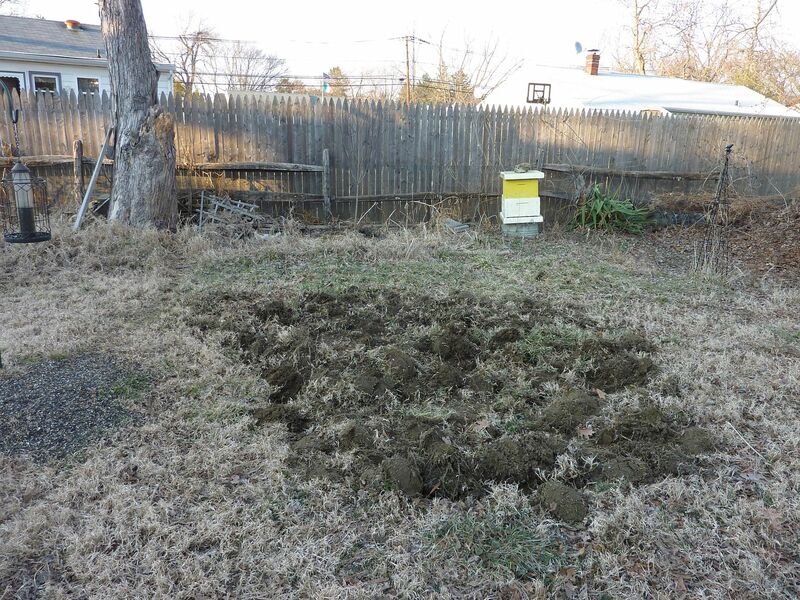 I'm turning the soil now to get a head start, hopefully. The grass there is very aggressive, spreading both by root suckers and by producing roots wherever it touches the ground. Breaking this mass up at least will hopefully kill some of the corms. It's actually snowed once or twice with all the roots exposed too so that should help some. I plan to mix in some straw to get some organic matter in there, as well as throw on a top dressing of mulch after everything is planted. Hopefully this will help favor the plants I bought. They're due to all arrive around the first week of April. So I hope this all turns out well.